Gold prices fell at the domestic bullion market today due to poor demand from sluggish local buyers. 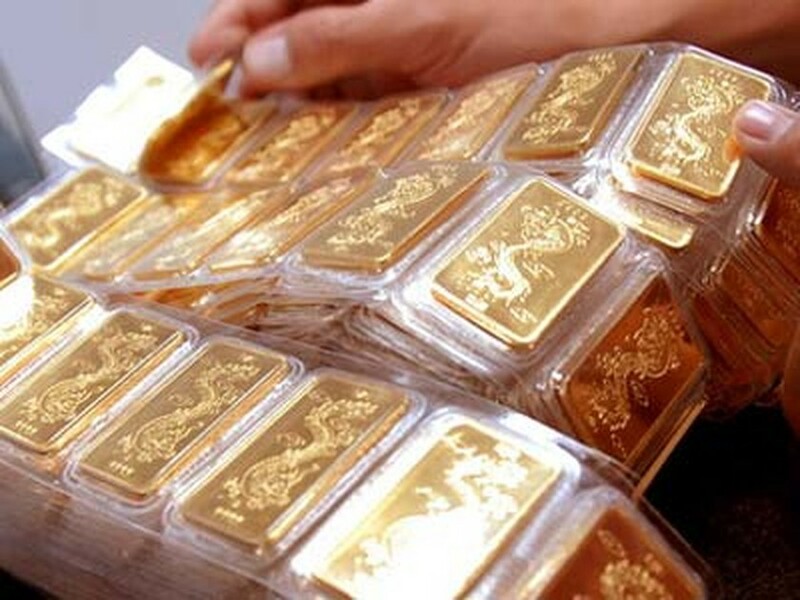 In the last two days, gold price has slumped and was below VND45 million per tael on January 12. Price of gold bullion produced by Saigon Jewelry Company (SJC) in Ho Chi Minh City, Vietnam’s biggest gold producer--quoted at VND44.8 million and VND45.3 million a tael for bid and sell, respectively, as of 9.30am Vietnamese time. Meanwhile, Phu Quy Jewelry Company in Hanoi listed VND44.6 million and VND44.87 million a tael for buy and sell. The price maintained until 3pm at two companies in Hanoi and HCMC--dropping nearly VND400,000 per tael over yesterday. Gold slid 0.7 per cent to US$1,670 an ounce in New York market. Prices yesterday touched $1,678.81, the highest level since January 3. Silver declined 0.2 per cent to $30.785 an ounce, a third weekly advance and longest period of gain since September. In Asian market, spot delivery of gold on January 12 stood at $1.66,318 an ounce, decreasing around $7 an ounce compared to New York market. Local gold prices are still higher than global prices, at VND2.9 million a tael--at official exchange rate of Vietcombank. The price gap between local and international price surged to VND4.3 million a tael last week. On the global front, the yellow metal dropped on heavy profit-taking, surrendering most of its previous session gains, impacted by higher-than-expected Chinese inflation and a stronger US dollar. Gold for February delivery lost $17.40 an ounce to settle at $1,660.60 an ounce on the Comex late yesterday. Silver for March contract also shed 51 cents to end at $30.41 an ounce.